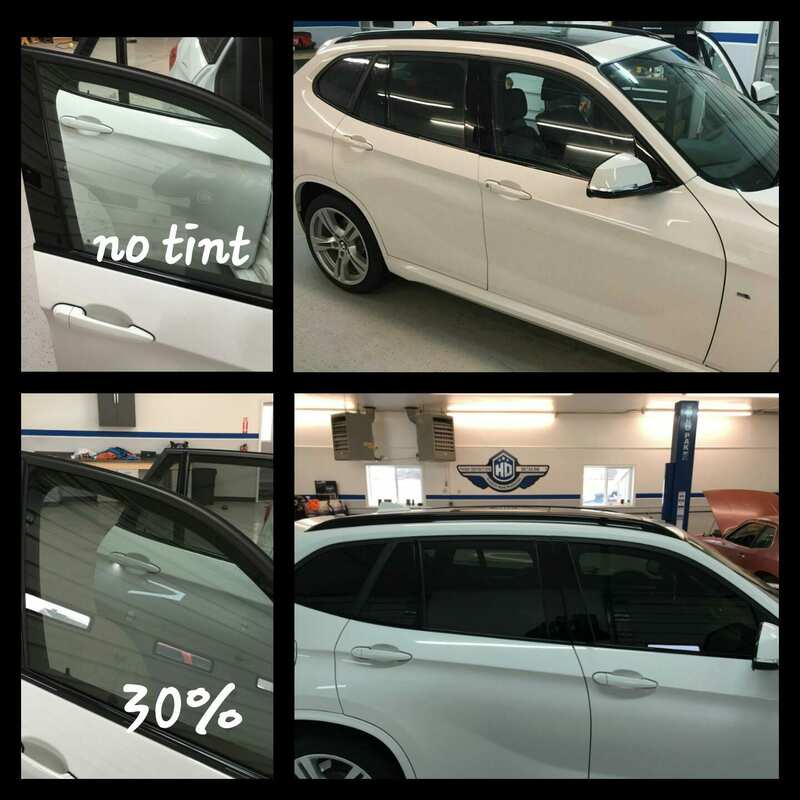 Whether you’re looking for increased privacy, improved comfort, interior protection, glare reduction or just simply want to improve the look of your vehicle, window tinting has many benefits. It can improve your comfort by rejecting external heat and keeping your vehicle cool on hot summer days. 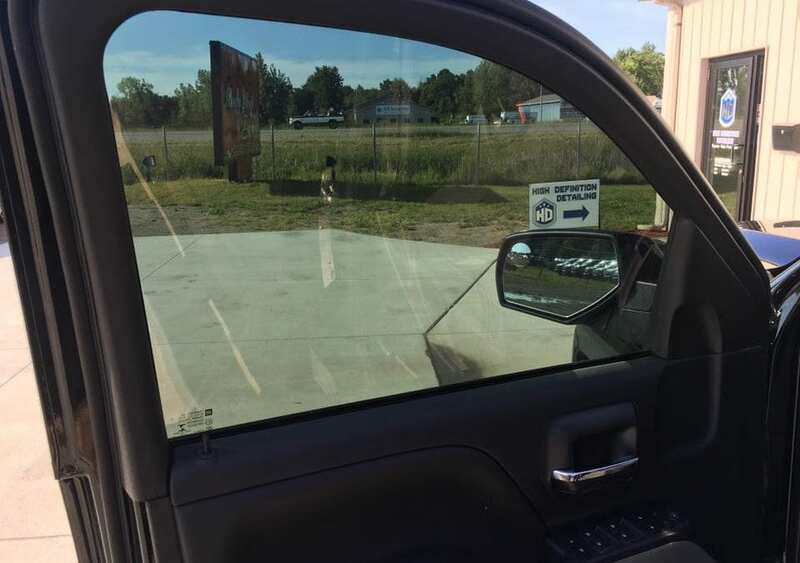 Tint significantly reduces glare, making it easier to see while driving. We use only the best tint that is guaranteed not to turn purple, as many cheaper brands do over time. 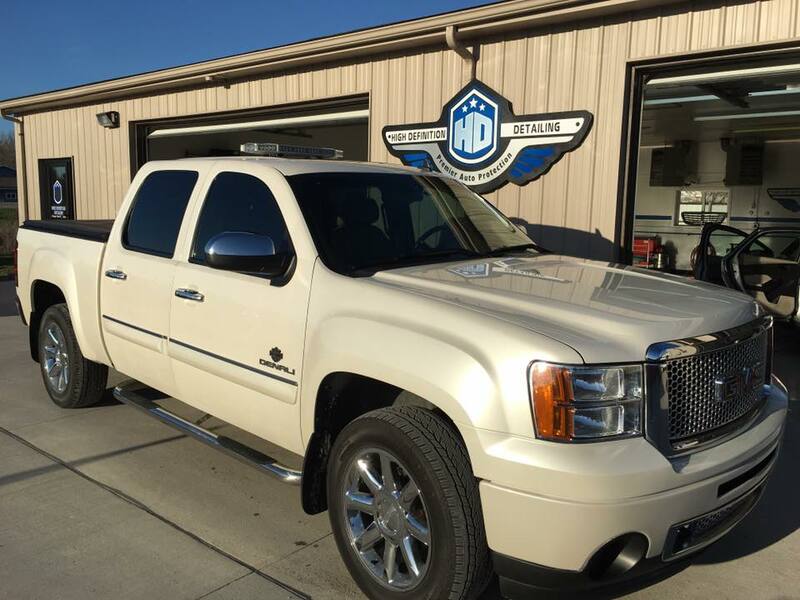 We can remove old tint, match existing tint or darken your factory windows and quickly improve the look of your car. Here are few of the recent window tinting jobs we’ve done. 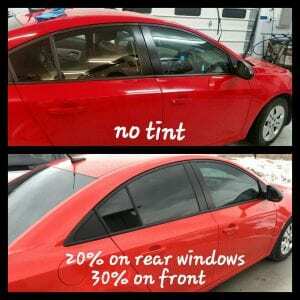 We have tint samples on display at our location if you’re curious how light or dark each is. Give us a call at (989) 259-7200 to schedule your window tinting. 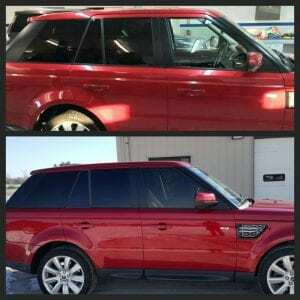 To darken the existing factory coated rear windows on this Range Rover, we added 5% tint to them and also installed 20% tint to the front windows for an overall sleek look. Tinted this car with 20% on all rear windows and 30% on the front.